IT’S THE ANNUAL WHAS CRUSADE FOR CHILDREN YARD SALE presented by Tri City Van & Storage and The Kentuckiana Corvette Club to benefit the WHAS Crusade for Children. Lip Sync Challenge video debuts! “Don’t Stop Believin'” in the WHAS Crusade for Children! #GiveForGoodLou is on September 13, 2018. With your support it’s going to be “A Beautiful Day.” Don’t believe us? Just watch! The WHAS Crusade for Children will help make history on September 13th by participating in the 5th annual Give for Good Louisville, a 24-hour day of online giving for local nonprofit organizations. We invite you to take part by rallying around the Crusade and to help connect us to the larger community. Please join our campaign and help us raise thousands of dollars to make life better for local children with special needs. Donate, spread the word, be our social media champions – there are so many ways on this day to promote the impactful work the Crusade has been doing for 65 years! • Click here for the Crusade section of Give for Good Louisville. Visit any time between midnight-to-midnight on September 13 to make a donation to the Crusade. Remember, 100% of your gift will go directly to the thousands of children who benefit from our funding. • Become a “Crusader for Children” – and start your own personal fundraising page for Give For Good Louisville. Contact heather@whascrusade.org for help in setting it up. 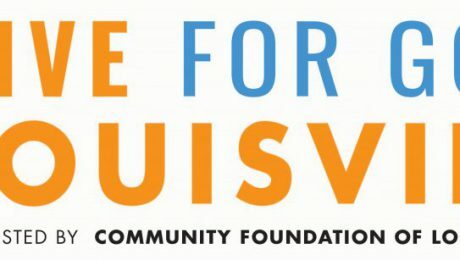 • Simply tell your friends and family about Give for Good Louisville – in person, on Facebook, Twitter, Instagram, anywhere! 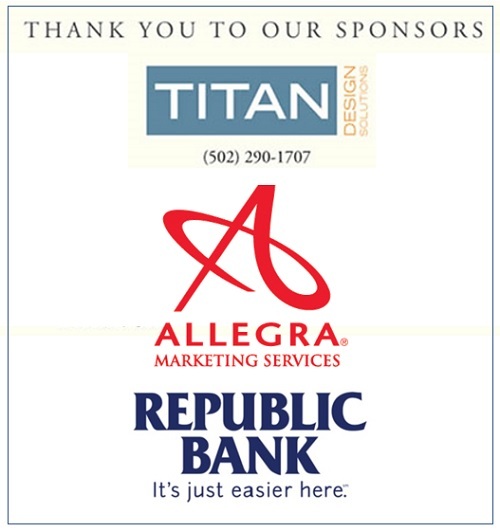 Thank you to your generosity to the WHAS Crusade for Children on September 13th. Now, let’s go make history! The WHAS Crusade for Children announces its grants for 2018 – 2019. 229 grants have been awarded totaling $5,675,000. 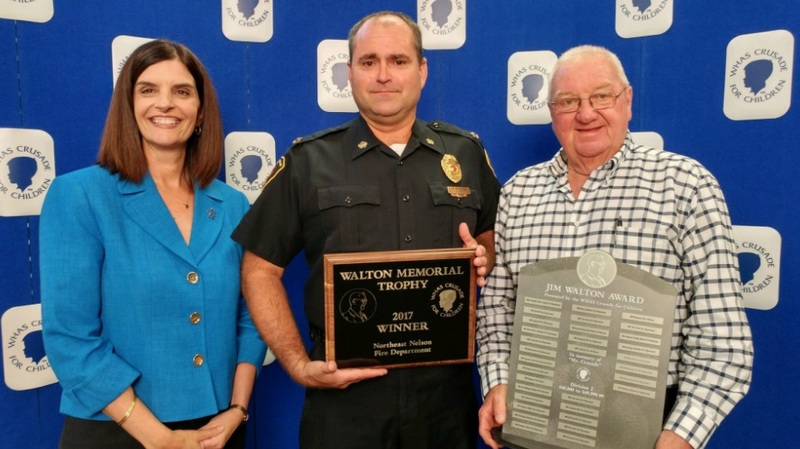 That matches the tote board at the conclusion of the 65th annual WHAS Crusade for Children which took place on June 2 – 3, 2018. Grant funds become available as the Crusade for Children begins a new fiscal year on September 1, 2018. Click here to learn more about the WHAS Crusade for Children grant process. Click here to see a recap of the 2018 65th annual WHAS Crusade for Children. >> SEE HUNDREDS OF PHOTOS FROM CRUSADE WEEKEND ON OUR FACEBOOK PAGE, CLICK HERE. 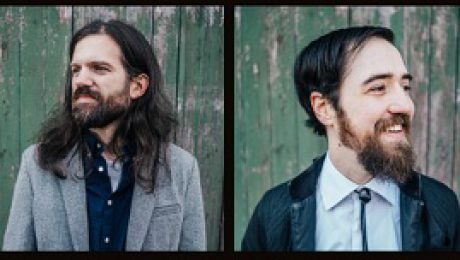 The 65th Annual WHAS Crusade for Children will kick off with a Variety Show headlined by The Misty Mountain String Band. They will be joined by many other great performers including AMERICAN IDOL contestant Emmy Bodner with Southern Sirens, plus 1200 and The Free Soul Effect. Many other Crusade favorites will be performing like Patrick Henry Hughes, Melissa Combs, Todd Hildreth and the Crusade Quintet, magician David Garrard, the Diane Moore Dancers, the Miracle Dancers and more! To commemorate the 50th annual WHAS Crusade for Children, the sidewalk that surrounds the WHAS11 building at 6th and Chestnut Streets in downtown Louisville is now a place of tribute. 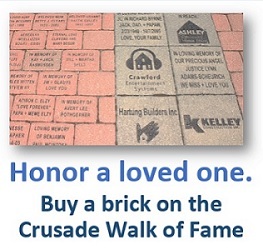 The WHAS Crusade for Children Walk of Fame is constructed of paving bricks available to engrave with your special message. Your donation of $100 for a 5” X 8” or $500 for a 12” X 12” brick will pave the way for the WHAS Crusade for Children Endowment. 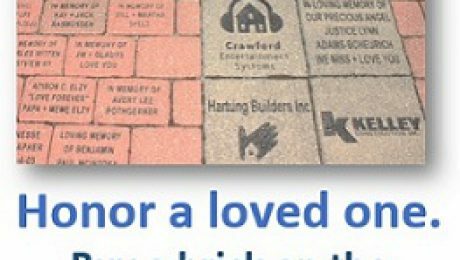 Each 12” X 12” brick can include up to five lines of text or an engraved company or organization logo. Call (502) 582-7706 for details. CLICK HERE to order a personalized brick securely online. CLICK HERE to download a PDF of the brick brochure and order form. Help make a difference FOREVER. The WHAS Crusade for Children Endowment fully funds the Crusade’s future. It guarantees that 100% of the Crusade’s annual telethon collections continue to go directly to agencies that help children with special needs. It ensures that millions more children will be helped for decades to come. Beyond your annual contribution, the Crusade needs your Endowment donation now. 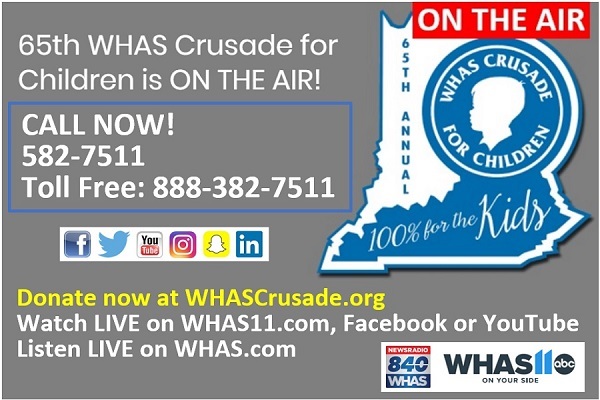 To change a child’s life forever, support the WHAS Crusade Endowment. For each brick purchased, a certificate of ownership is issued to you or to whomever you designate. The WHAS Crusade for Children, Inc. is a 501(c)(3) public charity. Gifts are tax deductible as permitted by law. The Crusade is the most successful and oldest local telethon in America. To make a secure online donation, click here or call (502) 582-7706. I have a great story to share with you as we express gratitude during this season of giving. To the surprise of the Gaither family, Zuri came early, weighing only 2 lbs. 1 oz. 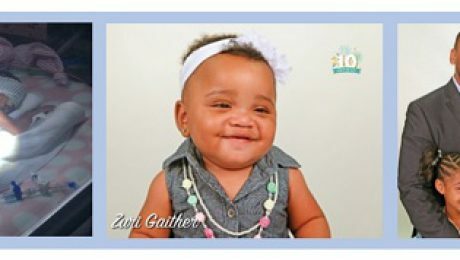 Thanks to expert medical care at Baptist Health and some critical pieces of equipment funded by the WHAS Crusade for Children, Zuri’s early birth turned from concern to joy. This would not be possible without the generosity of this community! The children served by the Crusade are truly an inspiration and heroes to all of us. It is heartwarming to see beautiful Zuri featured in our annual children’s calendar, doing so well today. Thank you for being a champion for these children. As you enter the holidays, may your life be full of gratitude. 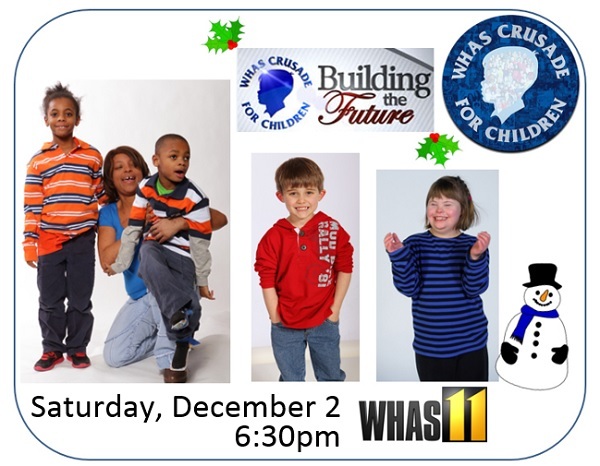 The 9th annual WHAS Crusade for Children “Building the Future” mini-telethon will air Saturday, December 2nd 6:30 to 8:00pm on WHAS11. 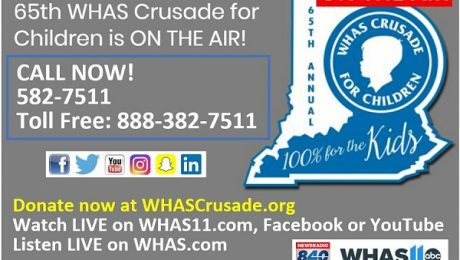 The program is devoted to the WHAS Crusade Endowment. It will feature contributors from across Kentuckiana who are making a difference. The program will be hosted by WHAS11’s Rachel PLatt and 840 WHAS Radio’s Terry Meiners. In September, 2002, the WHAS Crusade for Children Board of Directors voted to create the new Crusade Endowment. 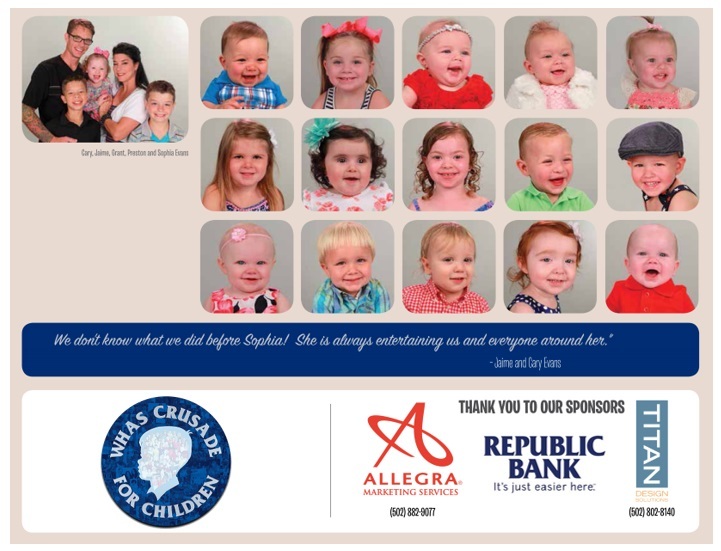 It guarantees that 100 percent of the Crusade’s annual telethon collections continue to go directly to agencies that help children with special needs. It ensures that millions more children will be helped for decades to come. 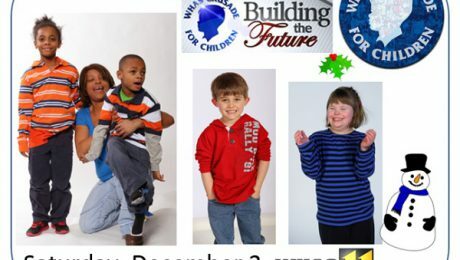 – 100% of each donation to the WHAS Crusade for Children helps children with special needs. – The Crusade Endowment Campaign fully funds our future. – Beyond your annual contribution, we need your Crusade Endowment donation now. – Change a child’s life forever, support the WHAS Crusade Endowment. Watch this video about Jane Charmoli. See why she made the decision to include the WHAS Crusade for Children in her estate plans. 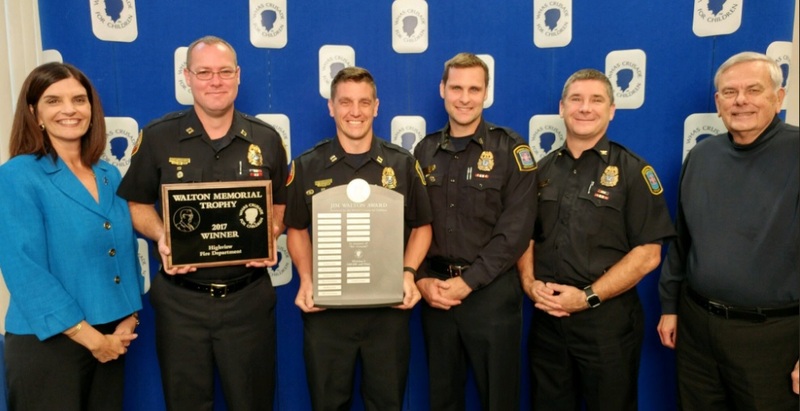 Congratulations to Monroe Township Fire Department, Northeast Nelson County Fire Protection District, Highview Fire Protection District, Cub Run Fire Department and Cross County Distributing for the highest percentage increases in donations to the WHAS Crusade for Children from 2016 to 2017. 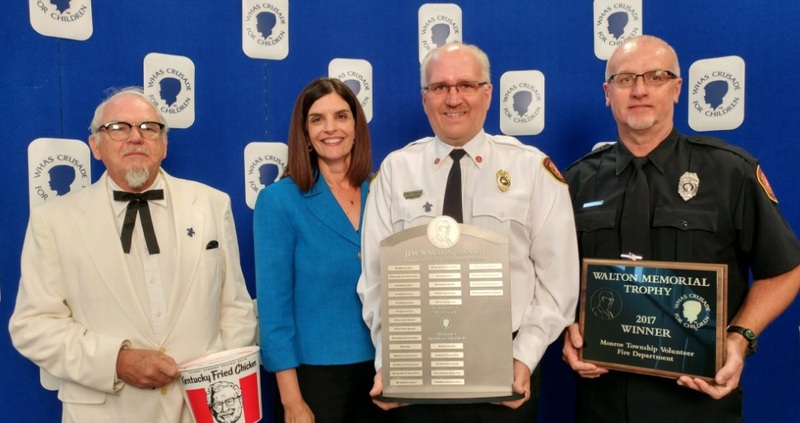 This year, thanks to firefighters, businesses and the good people of Kentucky and Indiana the WHAS Crusade for Children raised $5.5 million. Today, fire crews and one business are being recognized for showing the largest percentage increase in their totals for the 2017 Crusade. 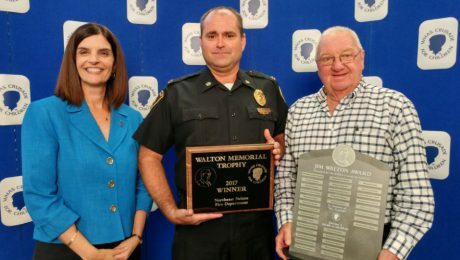 These awards are called the Walton Awards and the Phyllis Knight Award. Both are named for pioneering TV hosts and former Crusade directors, Jim Walton and Phyllis Knight. 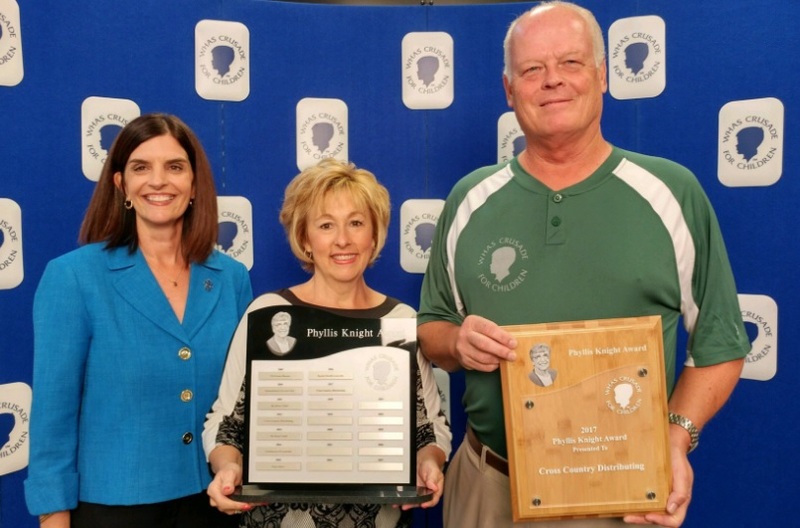 Each year in honor of former Crusade Executive Director Phyllis Knight, the Knight Award is given to the business or organization with the largest percentage increase in its donation. We want to point out that Steve Hancock and Cross Country Distributing have raised $948,000 dollars since 1990. That means if they raise $52,000 dollars in the coming year they’ll cross the million dollar mark in donations to the WHAS Crusade for Children.